Aprés ski can be fun for families. Not just grabbing beers at a base lodge bar while the kids play outside in the snow. Ski resorts have really amped up their after alpine skiing options. 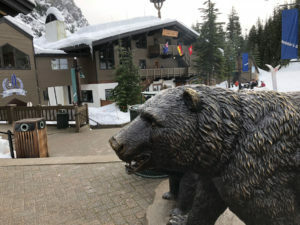 Zip line, snow tubing, ice skating, kids camps with crafts and movies and snacks are now the norm now at the Top 10 Western Ski Resorts for Families. 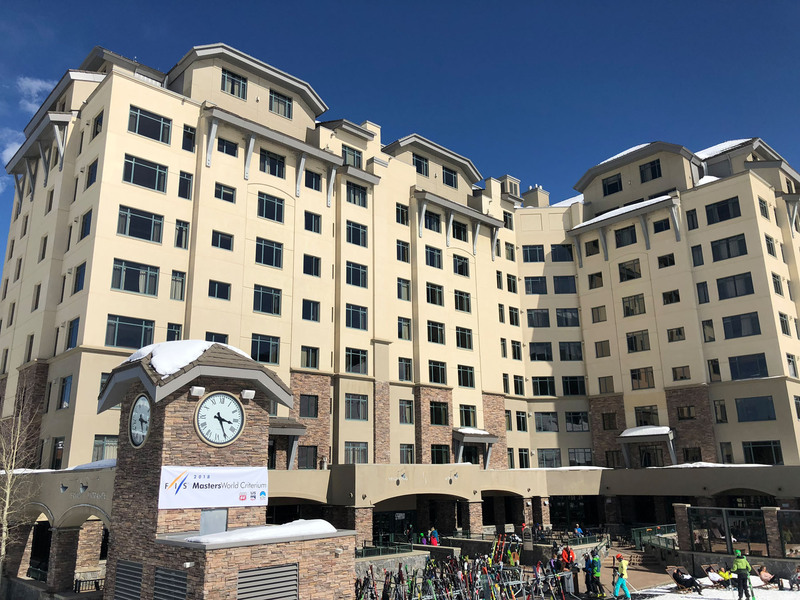 Rocky Mountain ski resorts offer snow-shoe tours, snowmobiling, terrain parks near the base lodge and so much more for fun on snow after the lifts stops. 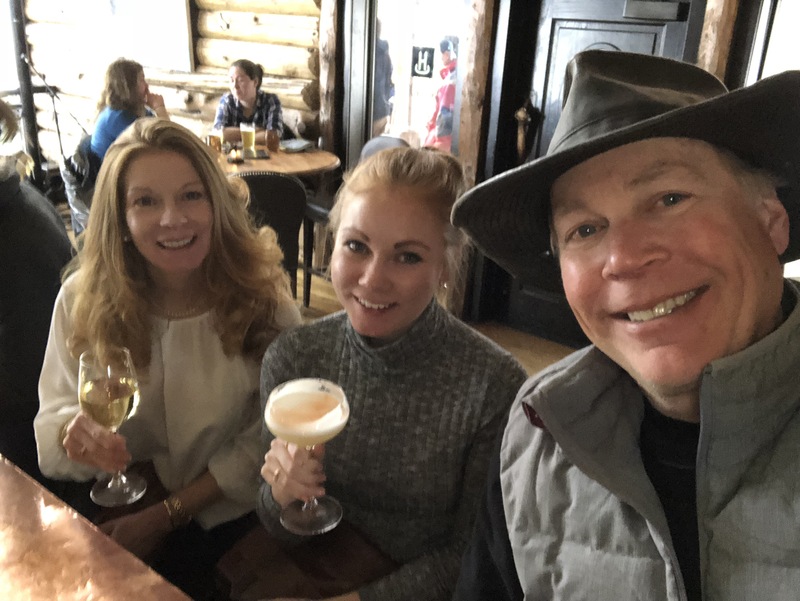 Vail Colorado has the best après ski in the West, and for families – it’s high elevation fun at Adventure Ridge atop the Eagle Bahn gondola. There’s a whole mountain top on-snow park the size of a football field, with snow bikes, kid’s mini snowmobiles to drive around a track, and tubing. Parents can head into the scenic Bistro Fourteen in the lodge for an après ski drink, while the kids keep playing outside. Tuesday’s apps are on specials, and Wine Wednesday is a deal. The Gondola back to Lion’s Head runs till 9pm most nights. 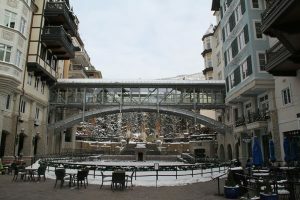 In Vail village, the Solaris ice rink is a beautiful place to glide on skates after skiing, and parents can enjoy Vail Brewing Company just up the stairs with a commanding view of the kids skating and the slopes from the 2nd floor post. Big Sky Resort in Montana has ziplining, a bungie bounce and a climbing wall in the Village. 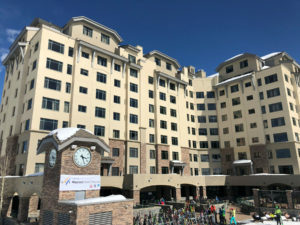 Also Big Sky’s Summit Hotel, among the best ski hotels in the West, has a huge heated outdoor pool, which is in perfect view from The Carabiner Bar if parents would rather whet their whistle than get wet swimming aprés ski.